“Therefore we also have as our ambition, whether at home or absent, to be pleasing to Him. For we must all appear before the judgment seat of Christ, so that each one may be recompensed for his deeds in the body, according to what he has done, whether good or bad.” (See 2 Corinthians 5:9-10) When each one of our little lights ceases to shine and we pass on, there will be a courtroom scene that no show or movie can touch. We will be given an account of everything we did – righteous or wicked – and we will be judged accordingly. First things first, make sure you have Jesus as your Savior and Intercessor in that room. He can argue your case way better than you. Note: If you didn’t choose Jesus on earth, He cannot choose you in eternity. That’s just the nature of God’s pure holiness and your “d’oh!” for knowing this and having a million chances while you were alive to accept Him, but always making an excuse not to. Secondly, if you chose Jesus, you’re going to Heaven. Period. However, and this gets tricky because we have human brains, even though Heaven is going to be better than awesome, for some, those who lived a more righteous life than others, eternity will be even better because they will get additional rewards. 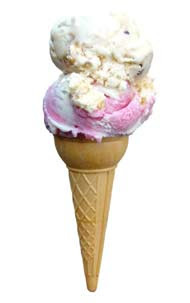 Think: “bonus.” A man buys all his kids an ice cream cone, but the one who cleaned his room got two scoops instead of one. They all got ice cream. It’s just the one boy got more because he respected and honored his father more.